Henan Rongjin High Temperature Materials Co. Ltd., incorporated in 2003 in Weihui and listed on the NEEQ (the National Equities Exchange and Quotations) (Name: Rongjin Gufen, Code: 830813) in 2014, are the National High-Tech Enterprise accredited with quality, environment, occupational health and safety management systems. We presided over the drafting of industrial standards for slide gate plate, nozzle and well block. 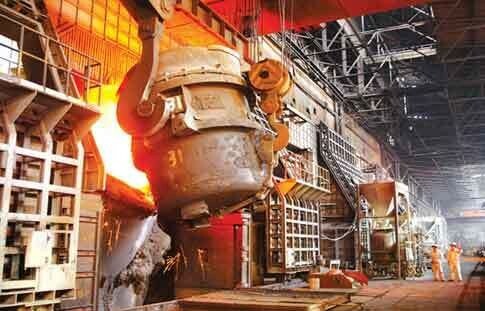 We are specializing in producing functional sliding gate refractories and systems for converter, steel ladle and tundish in steelmaking industry, and able to undertake general contract work including design, production, in-plant installation, etc. Main products: Sliding gate refractories and systems for steel ladle, tundish and converter; fast replaceable refractories and systems for tundish; monolithic refractories for steel ladle and tundish. As a key and reputed manufacturer of functional sliding gate refractories for continuous casting steelmaking industry, we have more than 100 customers at home and abroad.